The American Cancer Society recommends consuming 25 to 35 grams of fiber per day, but most Americans only get about 11 grams per day from their diet, according to the University of Arizona Extension. To be high in fiber, a food needs to have at least 5 grams of fiber per serving. There isn't a standard definition for a low-sugar food, but the fruits lowest in sugar have less than 10 grams per serving. Avocados and berries are your best options for high-fiber, low-sugar fruits. 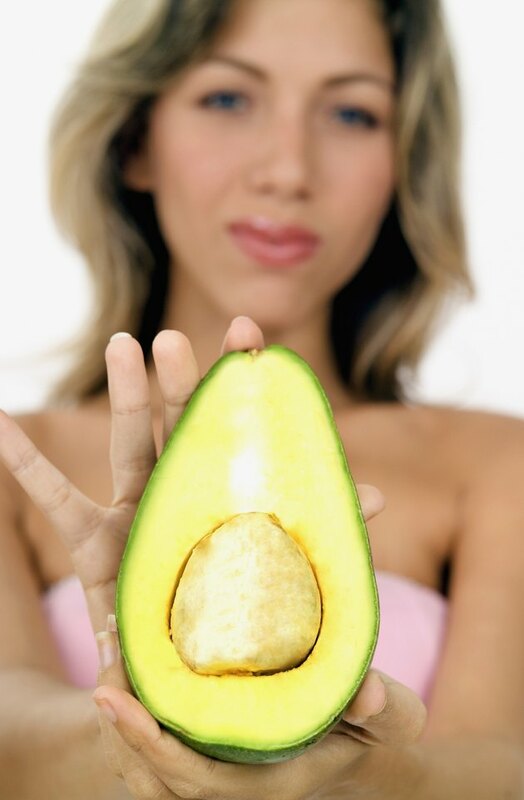 Each cup of pureed avocado contains 10 grams of fiber and just 1 gram of sugar, making it one of the highest-fiber and lowest-sugar fruits. A cup of raw raspberries has 8 grams of fiber and 5.4 grams of sugar, and a cup of raw blackberries has 7.6 grams of fiber and 7 grams of sugar. You'll get 7 grams of fiber and 9 grams of sugar if you eat the same amount of unsweetened, frozen boysenberries -- and 5.1 grams of fiber and 4.4 grams of sugar in a cup of chopped, raw cranberries. Fruits with at least 2.5 grams of fiber are considered good sources of this nutrient. Low-sugar fruits that fall into this category include raw currants, which have 4.8 grams of fiber and 8.3 grams of sugar per cup, and Asian pears, with 4.4 grams of fiber and 8.6 grams of sugar per fruit. A cup of cubed starfruit has 3.7 grams of fiber and 5.3 grams of sugar, and a cup of strawberries has 3 grams of fiber and 7.4 grams of sugar. Other fruits that may be a bit higher in sugar or lower in fiber per serving still have a high fiber-to-sugar ratio, making them nutritious choices. These include lemons, limes, passion fruit, kumquats, loganberries and guavas. The benefits are greatly reduced if you add sugar before serving, such as when you make a fruit-based sauce, or if you only use the juice, which is often the case with lemons or limes. Most people don't need to limit natural sugars, just those added during cooking or processing. The sugar in fruits is naturally occurring and comes along with a number of essential nutrients, including fiber, potassium, folate and vitamin C. Fiber may help lower your risk for high cholesterol, heart disease, constipation and certain types of cancer. Potassium helps you control your blood pressure. You need folate for forming red blood cells and vitamin C for healing wounds.